Consisting of literally thousands of films, videos, sound files, and digitized papers, UbuWeb is a treasure trove of multi-media art. The material is presented freely for noncommercial, educational use. It is easily searchable, often has a short description, and is continually updated. So, if you’re looking for examples of early Vito Acconci videos, recent work by Matthew Barney, the music of John Cage, or PDFs of the journal “Internationale Situationniste,” UbuWeb is a great resource to find these often esoteric works. The site has also recently announced that all films are now available to view on mobile device. The Buddhas of Mes Aynak, a new film by Brent Huffman, Assistant Professor, Medill School of Journalism, Northwestern University, will be screened at the University of Chicago on Thursday, February 7 at 4:30 pm in Swift Hall, Room 106. The Buddhas of Mes Aynak directed by Brent E. Huffman tells the story of the archaeological site, as well as the dangerous environment the mine has created for archaeologists, Chinese workers, and local Afghans. The film follows several main characters, including Philippe Marquis, a French archaeologist leading emergency conservation efforts; Abdul Qadeer Temore, an Afghan archaeologist at the Afghan National Institute of Archaeology; Liu Wenming, a manager for the China Metallurgical Group Corporation; and Laura Tedesco, an American archaeologist working for the U.S. State Department. For more information view the film’s Facebook page. The University of Chicago now has trial access to Cinema Image Gallery, an EBSCO database featuring pictures, posters, video clips, film stills and other materials from the world of moving images, starting in the late 19th century and continuing to present day. Cinema Image Gallery presents the history of moviemaking, as well as up-to-the-minute content from recent releases, and an extensive collection of television stills. Access the trial on-campus here. Let us know what you think in the comments! For his project Vanishing Cultures, photographer Dennis Manarchy is traveling around the country documenting various cultures with a one-of-a-kind, 35-foot-long camera called “Eye of America”. Styled like an old fashioned large format camera, it’s so large that a person can work comfortably inside it. The negatives measure 6×4.5 feet, and are so large that windows must be used as lightboxes to examine them. The detail in a portrait subjects’ eyeball alone is a thousand times greater than what you get with the average negative. Resulting portraits will be featured on prints 2 stories tall. Via PetaPixel. See their article for a video introducing the camera and a video introducing the project. 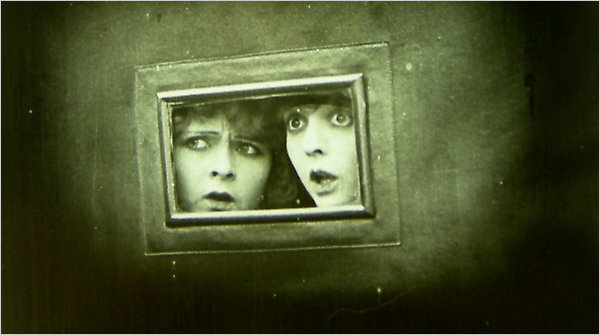 Early silent films recently discovered in the New Zealand Film Archive are returning to the United States for preservation under the guidance of the National Film Preservation Foundation. About seventy-five films were chosen because of their historical significance, including John Ford’s Upstream and a Clara Bow period drama. Shipment and preservation of the films has been difficult and time-consuming; most are printed on highly-flammable nitrate film and are already in advanced stages of deterioration. Preserved films will eventually be made public as streaming videos on the foundation’s website. For more information, see this article from the New York Times. Neshat uses various visual mediums to create artwork that, at its core, represents the resilient and rebellious spirit of women. Iranian-American visual artist Shirin Neshat was featured on yesterday’s National Public Radio broadcast of All Things Considered. Neshat’s new film, Zanan-e bedun-e mardan (Women Without Men) is now in theaters across the United States, and the artist’s eponymous new book was also recently released with a foreword by Marina Abramovic. Looking for high-quality movie clips online? Try MovieClips, a free website which offers more than 12,000 scenes searchable by actor, title, genre, occasion, action, mood, character, theme, setting, prop, and even dialogue. You can save clips as favorites, add and answer trivia questions related to movie scenes, embed clips on your own website, and share clips with friends via Facebook, Twitter, and more. 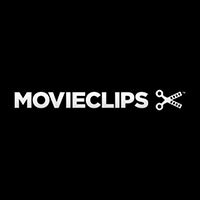 MovieClips is only available in the US and Canada, and right now clips are available from six major Hollywood studios: 20th Century Fox, Metro-Goldwyn-Mayer Studios Inc., Paramount, Sony Pictures Entertainment, Universal and Warner Bros. Currently in beta, MovieClips also welcomes feedback, including suggestions for movies that you’d like to see added to the collection.